You are here: Home / All blog posts / A hat! A most palpable hat! A hat! A most palpable hat! I went searching through my cold weather gear, and wasn’t able to find my previously knitted Festive Hats (they must have gotten lost in the move). 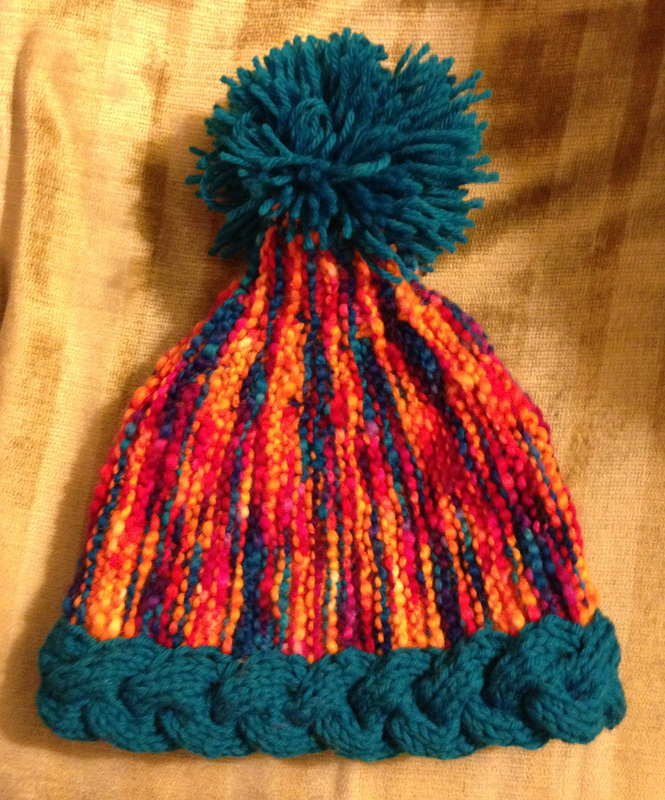 So, in what has become a nearly yearly tradition, I knitted myself a hat on the plane. And here it is! A most palpable hat. 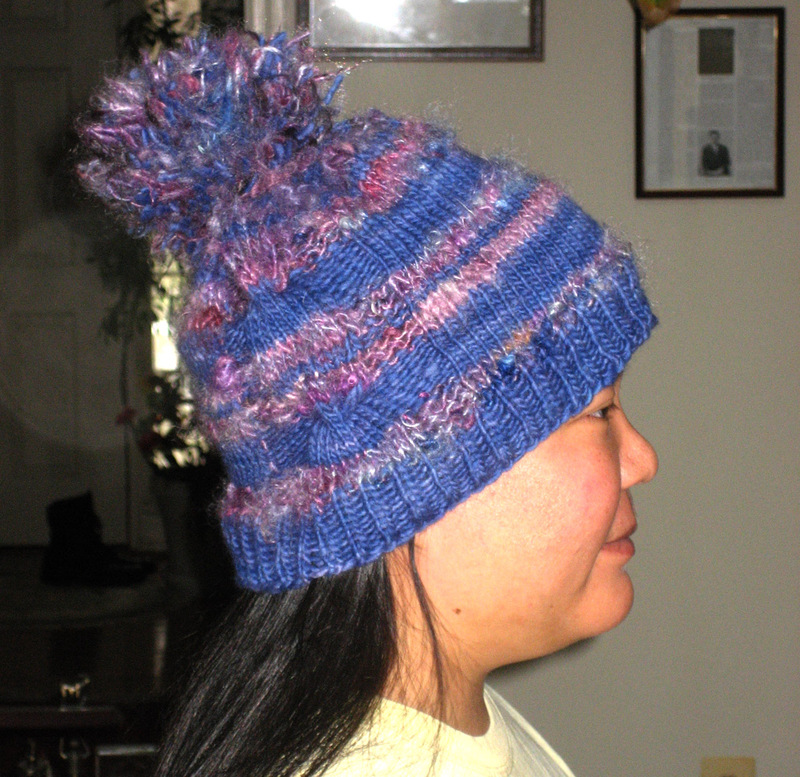 A festive hat for 2012! The photo, alas, doesn’t really do it justice. In real life the blue is a bright turquoise/cerulean blue, and the yellows and pinks are redder and richer than in the photo. 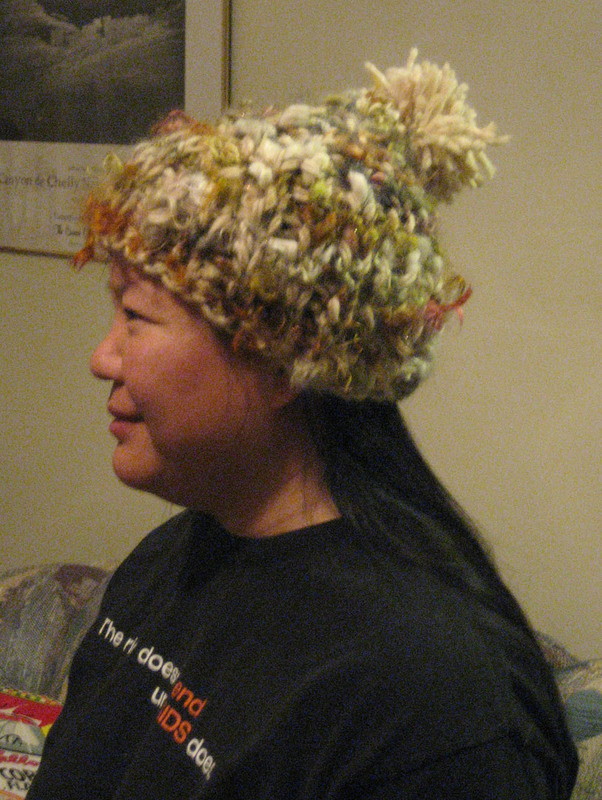 It is a most faaaaaabulous hat, and I was very happy to wear it on a short walk tonight. I’ll try to take a better photo later. I think this is better than its predecessors, though, so I hope I don’t lose this one! That’s a very interesting hat pattern.Â It appears to be knitted side-to-side, as it were.Â With perhaps short rows at that top.Â Is the cable knitted separately & then sewed on?Â Or is it knitted on in some ingenious way that I can’t quite figure out as I sit in my early morning mental for.